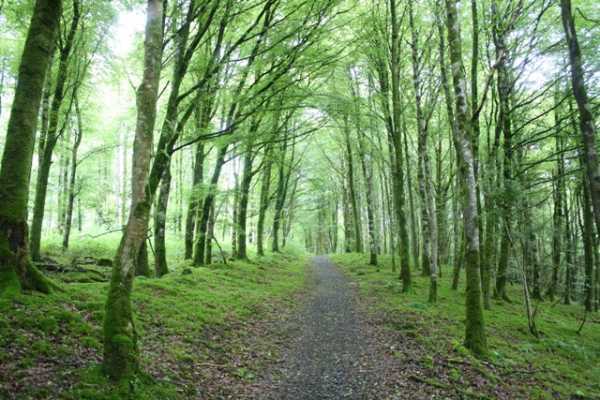 Turn off the country lane at N48160 77460 A and enter a well kept Coillte forest. Park in the large carpark. Time to complete , 1 hour . There are 3 developed walking routes here. A variation on the Red route will get you to the summit. Follow the track to N47016 78953 B, then to N46758 79127 C and turn right uphill to gain the treeless summit. Cross the summit and follow the track downhill to N47424 79131 D, following any of the tracks here downhill will take you back to the carpark. You won’t find Mullaghmeen without a good map. From Dublin I headed to Mullingar, then took the R394 road to Castlepollard. From there you need to use the OS map to get to N489 780 E and take the turn onto the minor track. This leads to a well developed car park with information boards, and a variety of colour coded walks. Follow the Red Trail for about 1 ½ km’s, and take the signpost marked ‘Cairn’. This leads to the summit, and from the car park you should be there in less than half an hour. Because there are two ‘tops’ to Mullaghmeen, make sure you are at the right one! 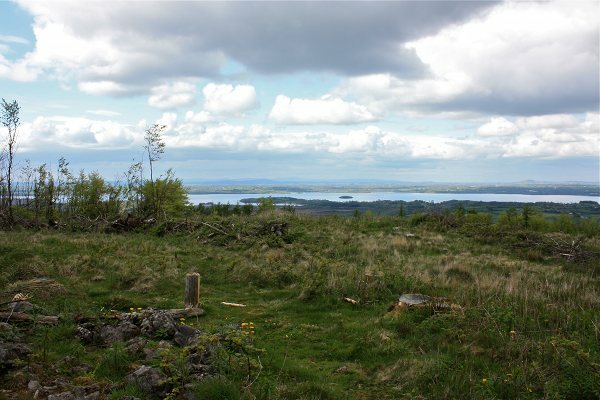 While Mullaghmeen is covered in trees, the summit area is treeless, and gives excellent views in all directions, especially out to Lough Sheelin to the north. There is a pile of stones at the summit which I thought at first was discarded lumps of cement. 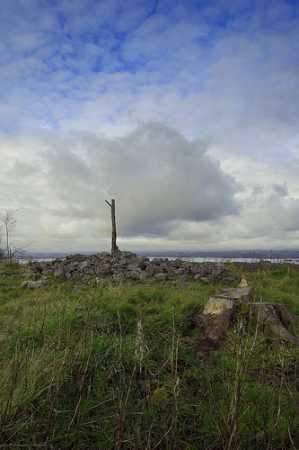 However these are actually the remains of the summit cairn. There are a variety of other things to see on your ramble around the forest. There are the remains of Flax Pits, Famine Fields, and a Booley Hut. (A Booley Hut is apparently where farmers lived on a seasonal basis while tending livestock, but I’m open to correction on this). 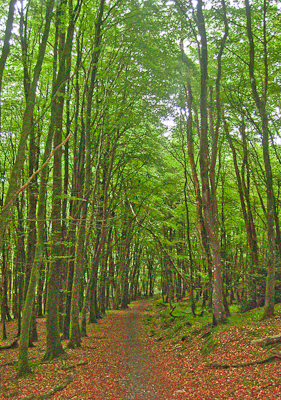 These are all signposted and add quality to what is already a pleasant walk through the woods.